Geneva, Switzerland - 11 May, 2017, MSC Cruises, the Swiss-based world’s largest privately-owned cruise line and market leader in Europe, South America and South Africa, is further deepening its family entertainment offering by giving younger guests the opportunity to star in the second series of its popular kids web series ‘Kelly & Kloe’ via onbaord auditions that are now open. Following the success of a first series of Kelly & Kloe and accompanying onboard experience, MSC Cruises is developing second series consisting of four episodes, each with its own theme: one on the brand new ship MSC Meraviglia, seasonal episodes for Halloween and Christmas and a special themed episode, Masquerade. 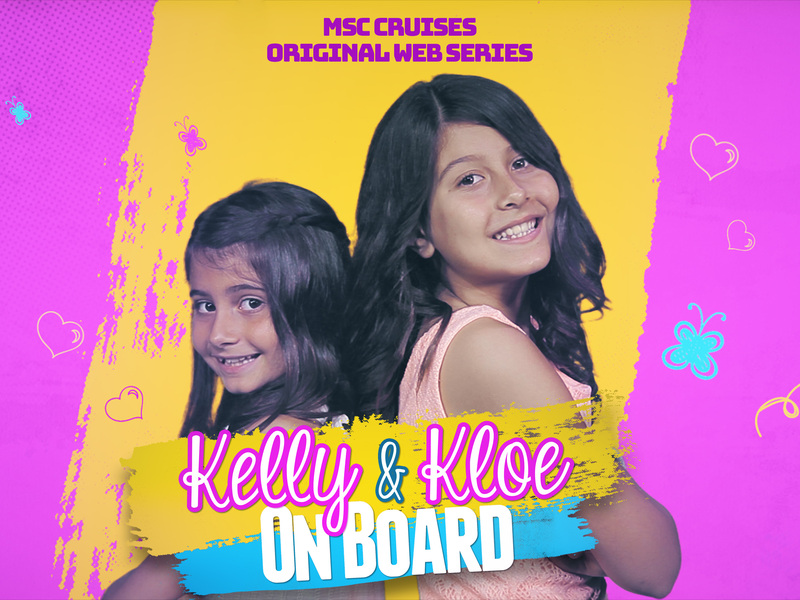 To date, the web series and trailer has been enjoyed by over 1.5 million people via the website and social media channels, as well as over 40,000 children who have taken part in the on board Kelly and Kloe experience day - where the fun of the series is brought to life via a range of interactive activities, just one of the many activities specially designed for kids of all ages. MSC Cruises has opened auditions for children between the ages of 8 and 17 for a number of characters who will play roles in the new series. Auditions are open to all kids whilst on board and will be filmed via a greenscreen experience, the children will perform the show’s theme song and dance routine, as well as explaining to camera why they would like to feature in the new series. Parents can also purchase this video to away as a souvenir from their cruise*. All entries from across the entire MSC Cruises fleet will be collected and reviewed by a judging panel including members of the MSC Cruises’ Entertainment division as well as the Writer, Series Producer and Director of the series. These include Roberto Cuccarini, Roberto di Napoli and Andrea Parodi, well know for their TV work and musical theatre productions. Casting will run until January 2018 with characters being selected in June, September, November 2017 and January 2018. For more information about the MSC Cruises family offering visit.